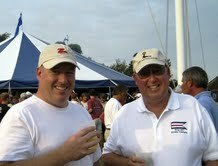 Chris and Jim Buydos are a father & son team who race MAGAN, out of the Branford Yacht Club in Connecticut. Racing their J30 is a family affair, with Jim’s youngest son Mike now joining the team as bowman. 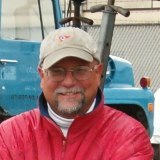 Jim has been actively involved in the ECSA & Off Soundings sailing scene since the late 1970’s. He is a retired purchasing director from the Rockbestos-Surprenant Cable Corporation, where he had worked for over 43 years. With his new found freedom you can find Jim on the golf course when not spending time with his wife Susan or sailing with his family. Chris grew up watching and eventually joining his father in numerous regattas in his youth. After sailing and living in the British Virgin Islands for a few years, Chris moved back to Connecticut and now calls Old Lyme home with his wife Jill and son Trevor (future bowman). Chris is a marketing consultant at Pfizer, where he assists clinical trials with their patient recruitment, retention and site support challenges. Gerry Keeler is a retired scientist with a background in microbiology and computer systems engineering and architecture. He currently writes grant applications, serves on two city commissions, volunteers at a local homeless shelter and soup kitchen. He is preparing lunchtime and dinnertime lectures on infectious diseases and parasitology and their impact on human history. The lunchtime program is called "Lunch N' Larvae" and the dinnertime program is called "Dining with Disease". 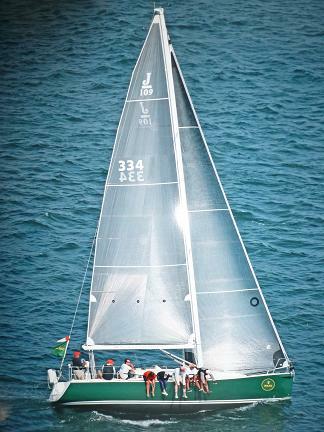 He sails a J109 named Sanibel. He enjoys golf, backpacking, restoring antique automobiles, and of course, sailing. He lives in Groton, CT. He has been a member since 1993.